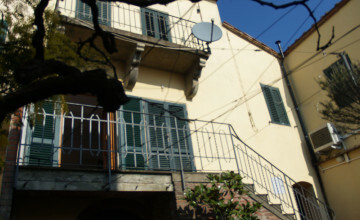 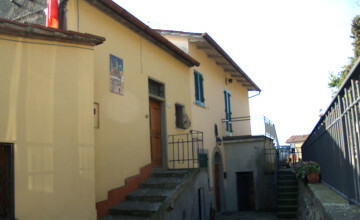 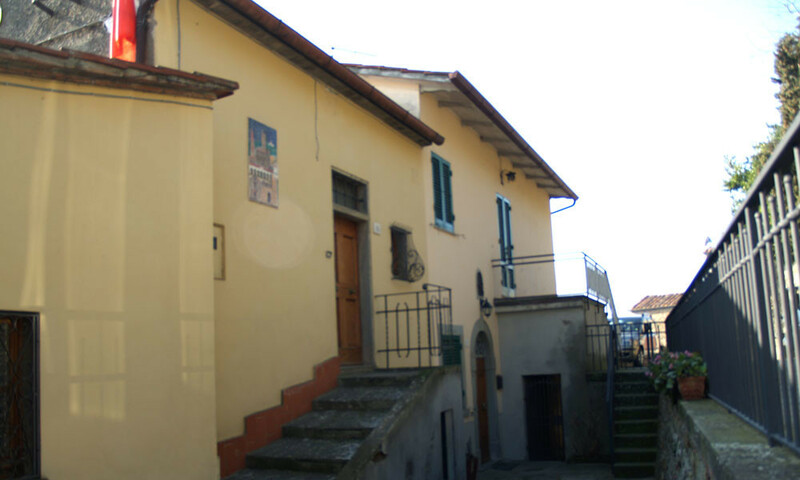 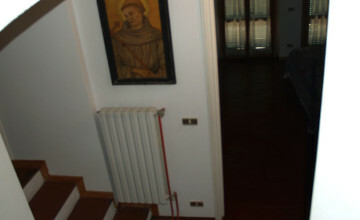 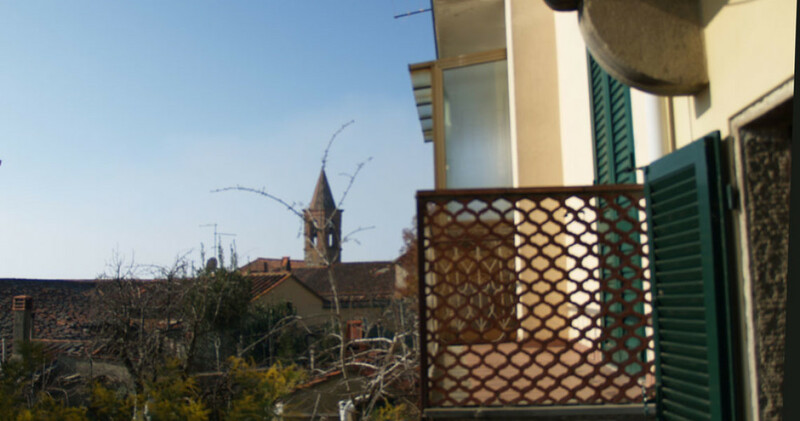 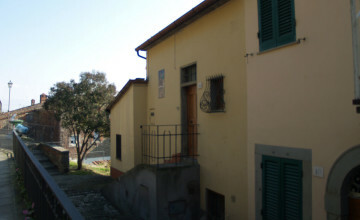 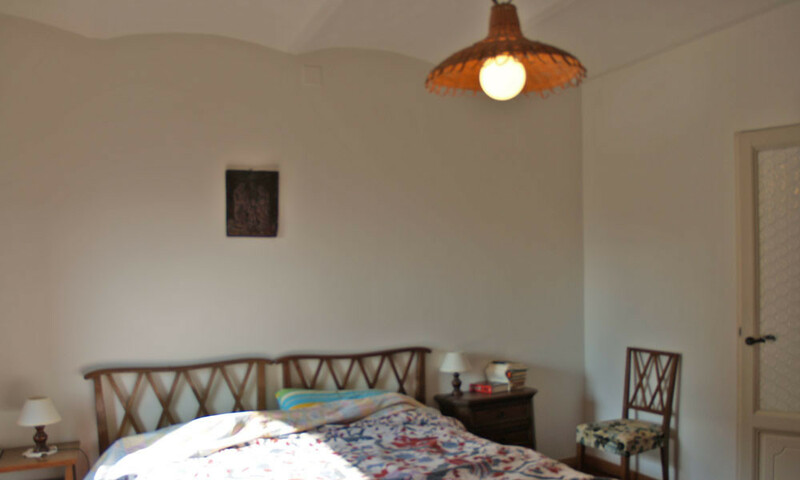 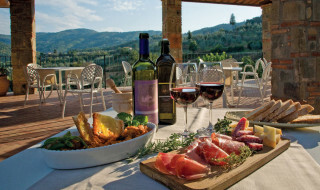 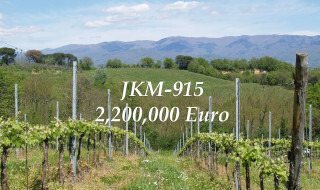 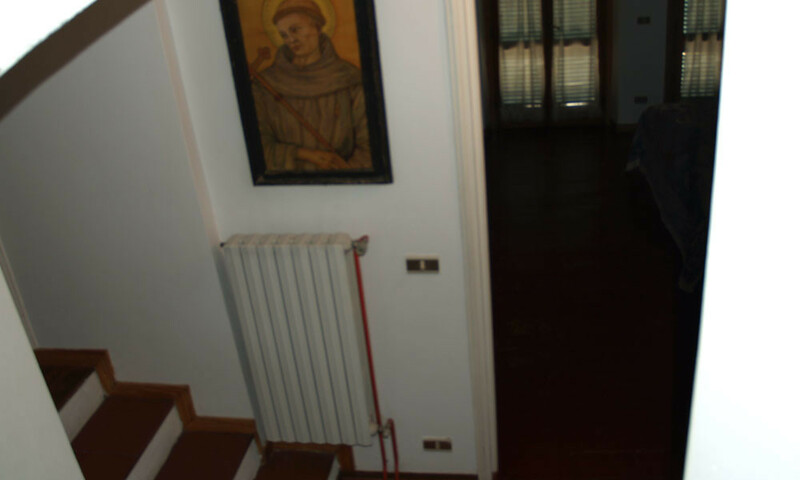 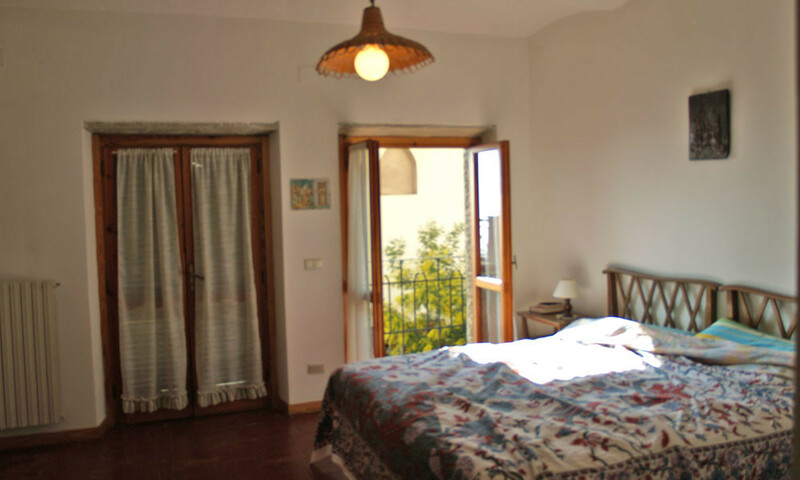 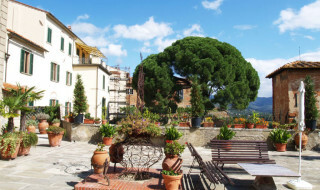 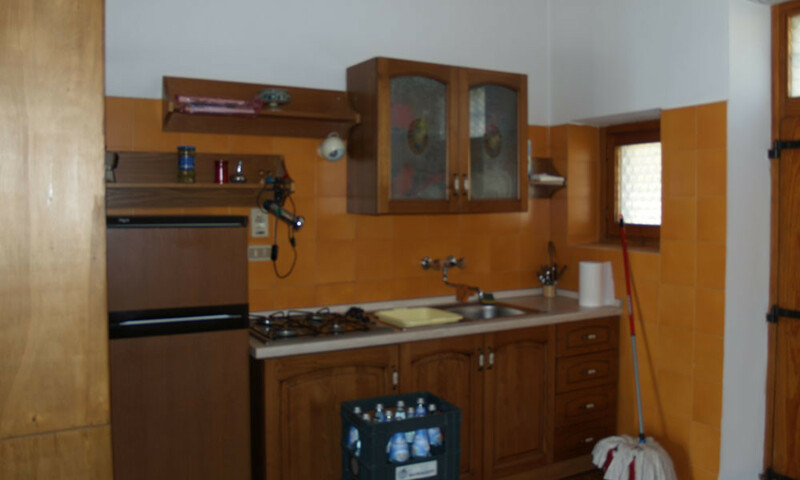 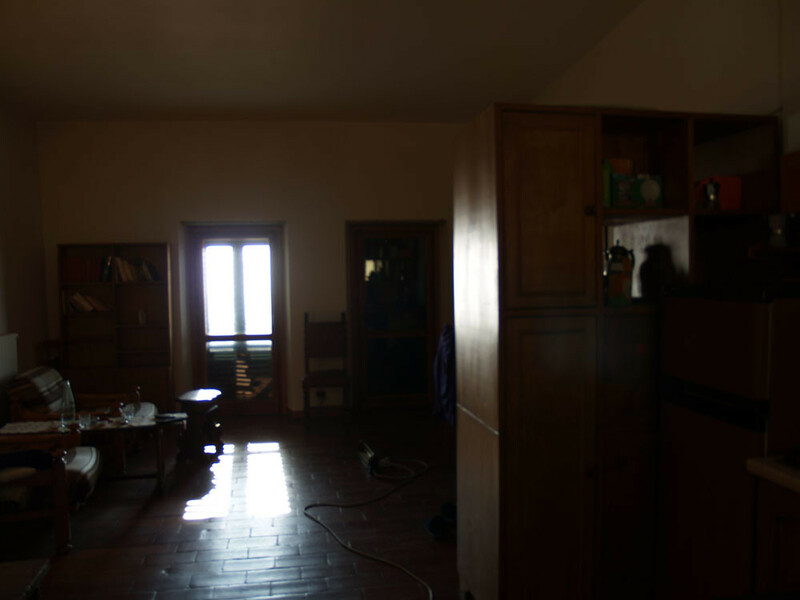 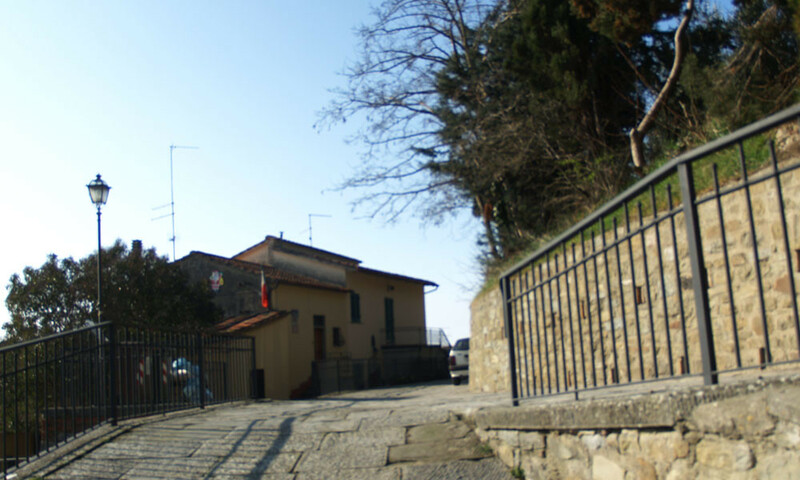 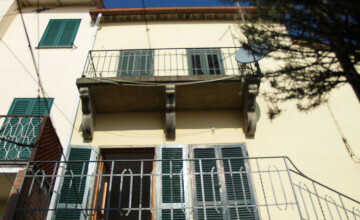 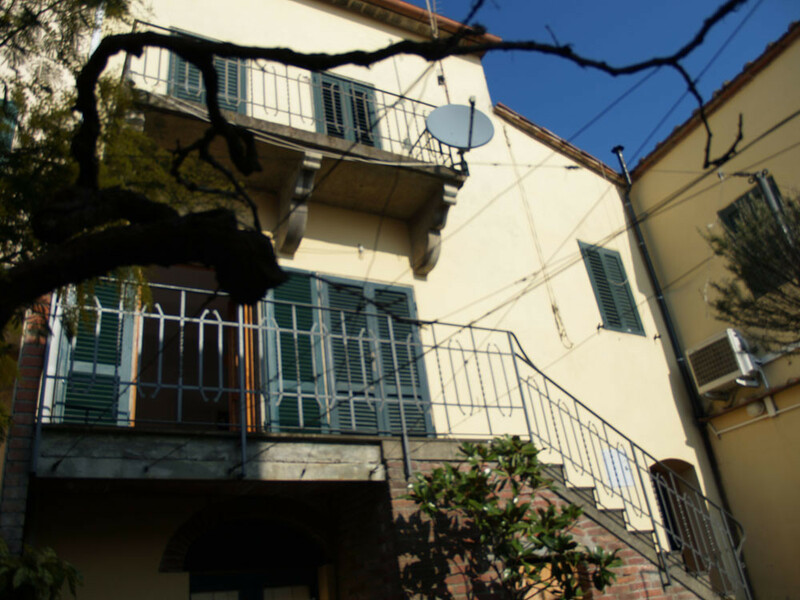 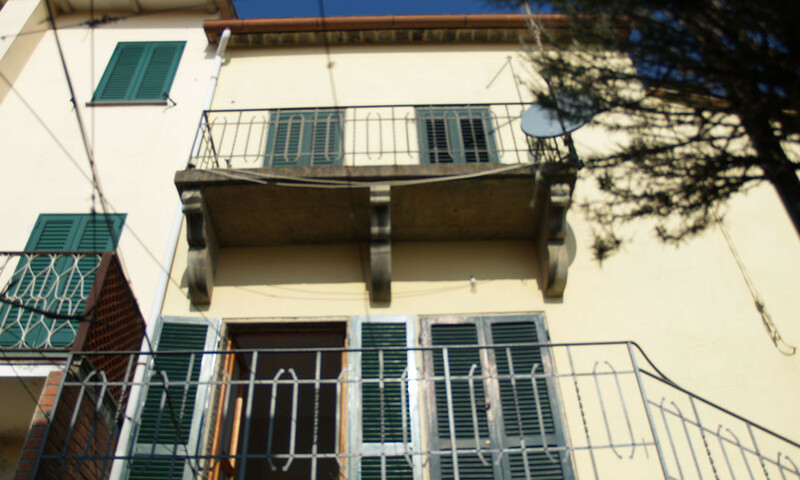 This very interesting house is located along one of the oldest streets of Medieval Castiglion Fiorentino, perched on top of a hill with fantastic views of the historic centre and Valdichiana valley. 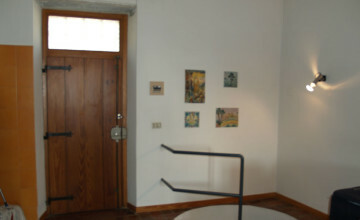 The house develops on two levels with two entrances. 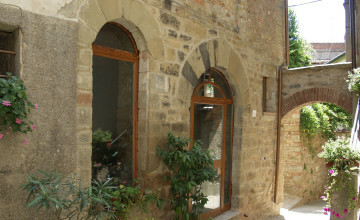 One entrance leads through a staircase and small loggia to the large open space with sitting, dining area and a kitchenette. 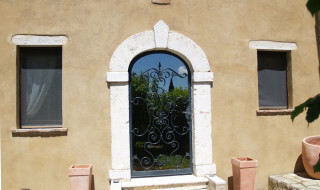 Two French doors open to a terrace with most panoramic views. 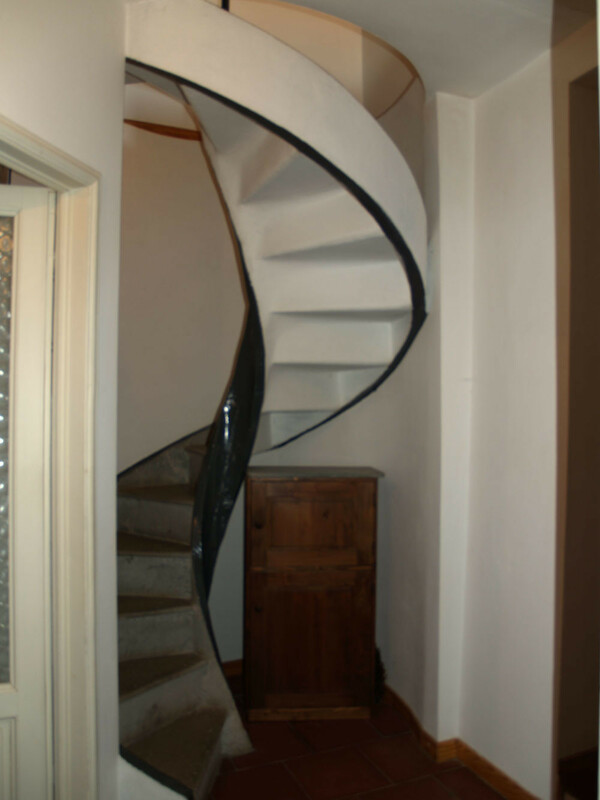 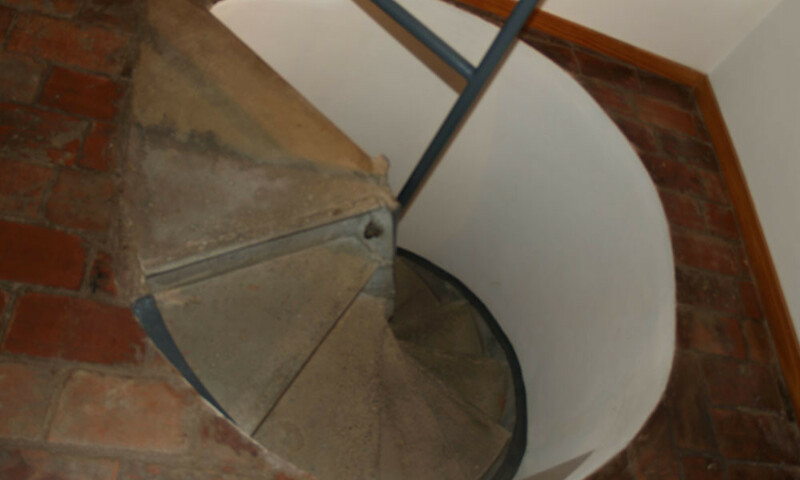 A comfortable spiral staircase made out of cast iron and terracotta tiles lead to the lower level divided into two bedrooms and a large bathroom. Another pair of French doors open to the second terrace overlooking the common garden. 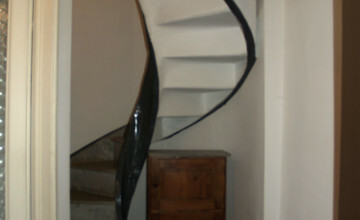 This part can be accessed also through another entrance in common with the owners of the second part of the building. 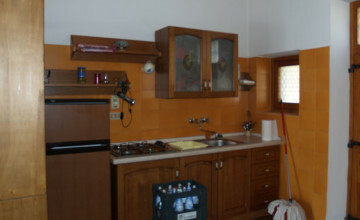 A small storage space on the lowest level is used as technical room. 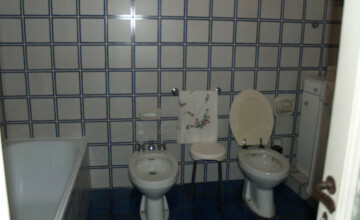 City water, gas and electricity are connected. Central heating and TV Sat are also in place. 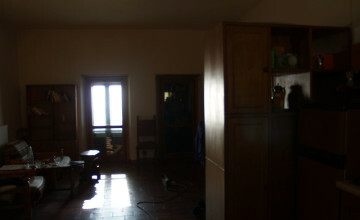 The conditions of the apartment are good and ready to move in. 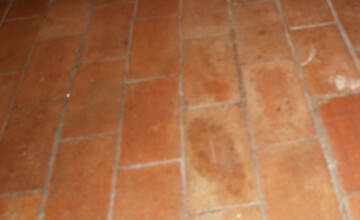 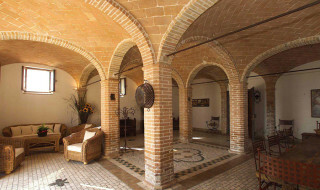 Floors are in old terracotta tiles and the ceiling of lower level is vaulted. 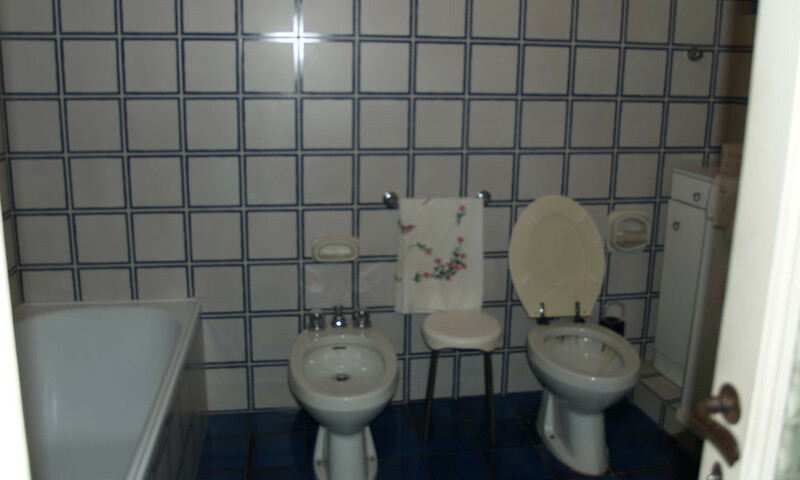 The bathroom with tub and washing machine piping is all covered with pleasant ceramic tiles.